Ford has announced it has hit that target twice as fast as expected. The results are dramatic, with a global manufacturing CO2 emissions reduction of more than 3.4 metric tons from 2010 to 2017 – equivalent to greenhouse gas emissions from more than 728,000 passenger vehicles driven for one year. 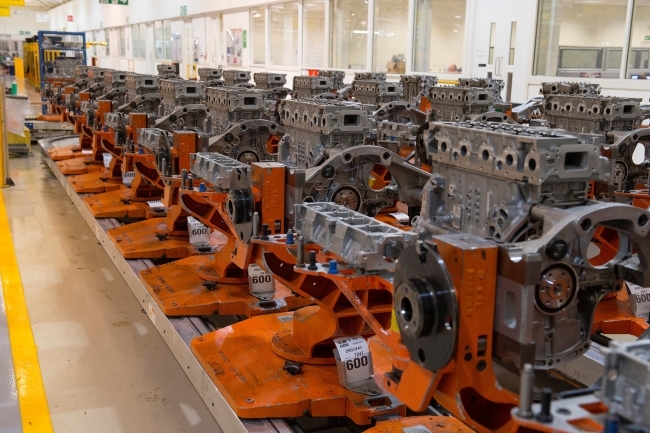 Minimum Quantity Lubrication is another energy-reducing technology Ford has embraced. In MQL, a machining tool is lubricated with a very small amount of oil sprayed directly on the tip of the tool in a finely atomised mist, instead of with a large quantity of coolant/water mixture. Ford isn’t stopping here however, and is now working on setting a new goal – this time, focused on renewable energy. Ford says it also remains focused on reducing vehicle emissions by doing its share to deliver on CO2 reductions consistent with the Paris Climate Accord. The company is charting its course for the future by investing $11 billion (£8.3 billion) to put 40 hybrid and fully electric vehicle models on the road by 2022. In 2018, Ford launched a ground-breaking program in Jeddah, Saudi Arabia, with the help of Jeddah’s Effat University called Driving Skills for Life ‘For Her’. The first-of-its-kind program is focused on driving education for women, following the royal decree to lift the ban on females obtaining a driving license in the country. More than 250 students were among the first graduates – completing courses that teach vital skills necessary for new drivers, tips from highly skilled experts and a deep understanding of safe driving practices. This customised version of our award-winning program, Driving Skills for Life, empowers women to access greater mobility. 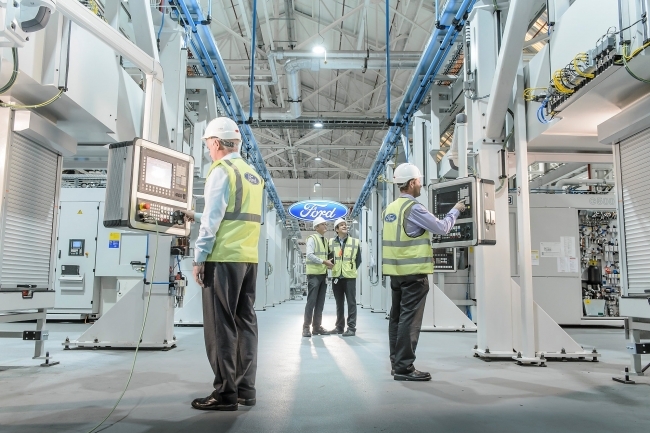 In addition to reaching the company’s ambitious goal of reducing manufacturing greenhouse gas emissions with a 32 per cent reduction, Ford makes around 300 parts from renewable materials, with eight sustainable materials featured in production vehicles: soy, wheat, rice, castor, kenaf (hibiscus), tree cellulose, jute and coconut. Ford is committed to contributing to communities around the globe. In 2017, $63 million (£47 million) of charitable donations were made through Ford Motor Company Fund. More than 237,000 volunteering hours were donated by current and retired employees across more than 1,700 community projects in 40 countries. Dealers around the world additionally contributed more than $110 million and 50,000 hours to charitable causes, disaster relief efforts and non-profits in the communities they serve. You can read the full report, by visiting: sustainability.ford.com.